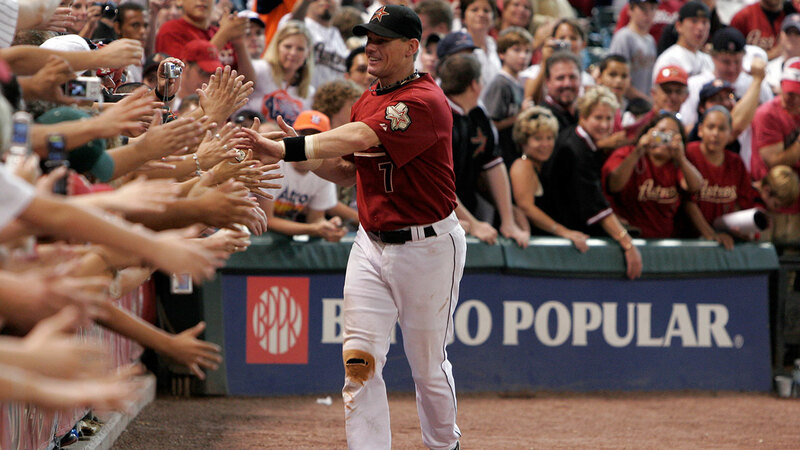 Will Craig Biggio finally get voted into the Hall of Fame? COOPERSTOWN, NY (KTRK) -- The Baseball Hall of Fame will announce its class of 2015 tomorrow at 1pm. The Astros' Craig Biggio's name is expected to be called. We expected to hear it last year, too. Nothing is a given, but Biggio deserves to be there. This is Biggio's third year to be on the ballot. His numbers are certainly Hall of Fame-worthy. Biggio, a 7-time All-Star, is one of 11 players with 3,000 hits and fifth all-time in doubles. He came close to the necessary 75 percent of the vote in his first year, coming in at 68 percent. Last year, Biggio was expected to be a shoe-in, but when the voting was announced, he came up two votes short. It is a crowded ballot this year. Pitchers Randy Johnson, Pedro Martinez and John Smoltz are expected to go in in their first year of eligibility. Also on the ballot is Biggio's longtime teammate, Jeff Bagwell. This is his fifth year on the ballot. Last year, he received 54.3 percent of the vote. In a 15-year career, Bagwell had 449 home runs, 1529 RBI's, a	.297 batting average and .540 slugging percentage. Roger Clemens, who won the Cy Young Award 7 times, is on the ballot, too, but maybe have been too closely tied to steroids to get voted in.